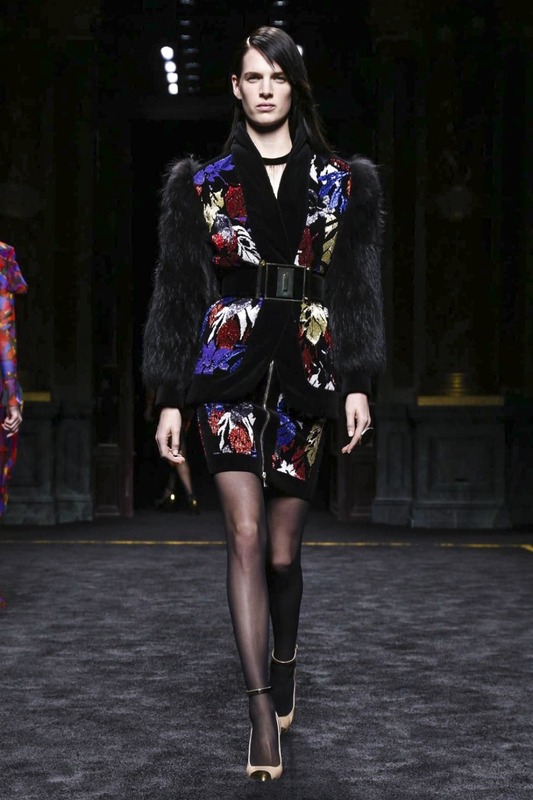 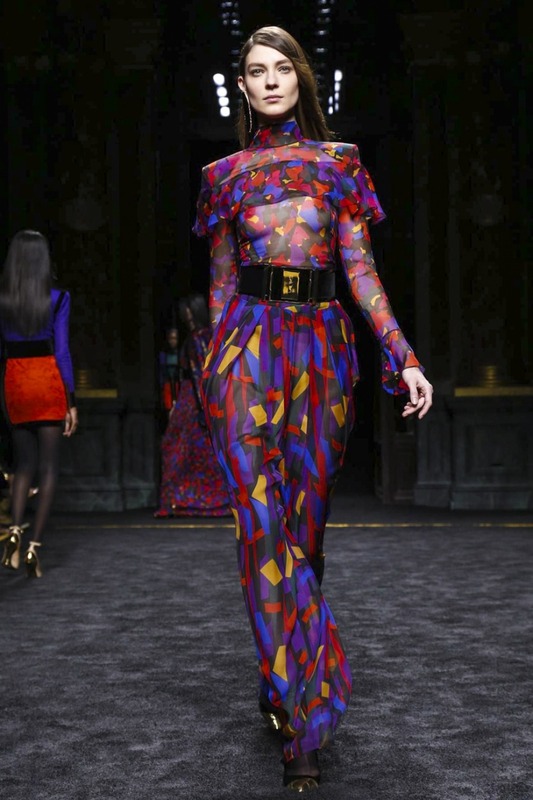 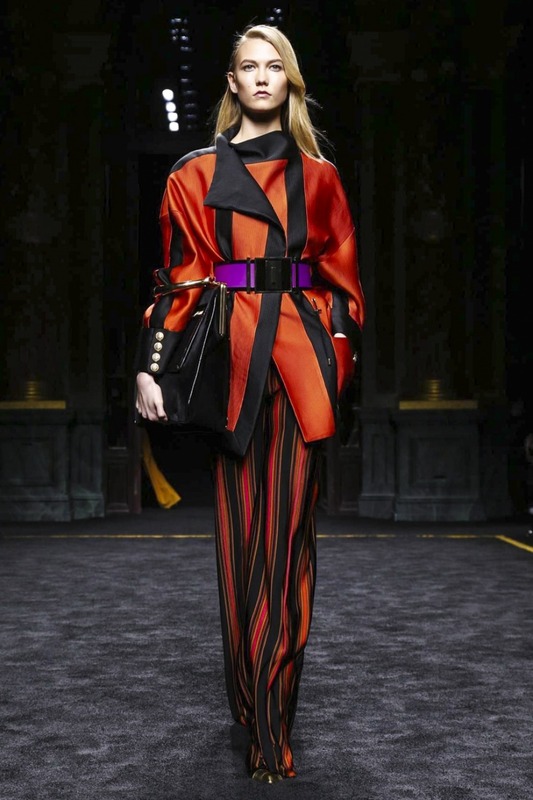 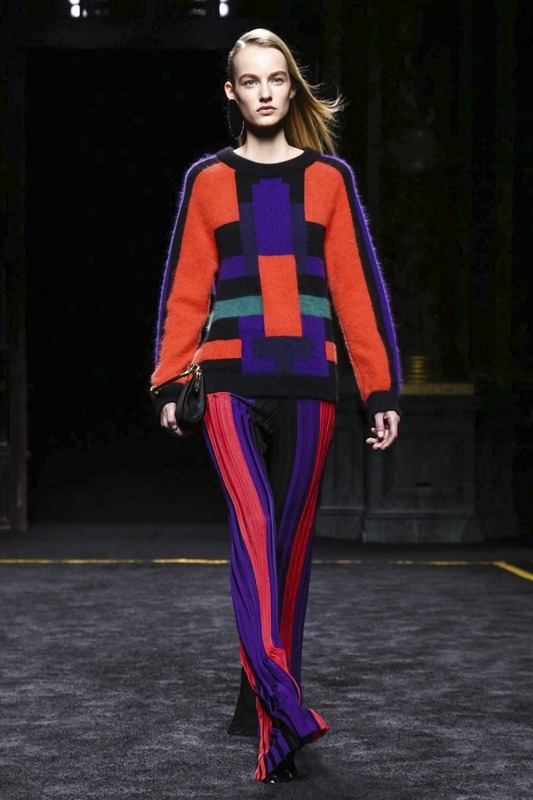 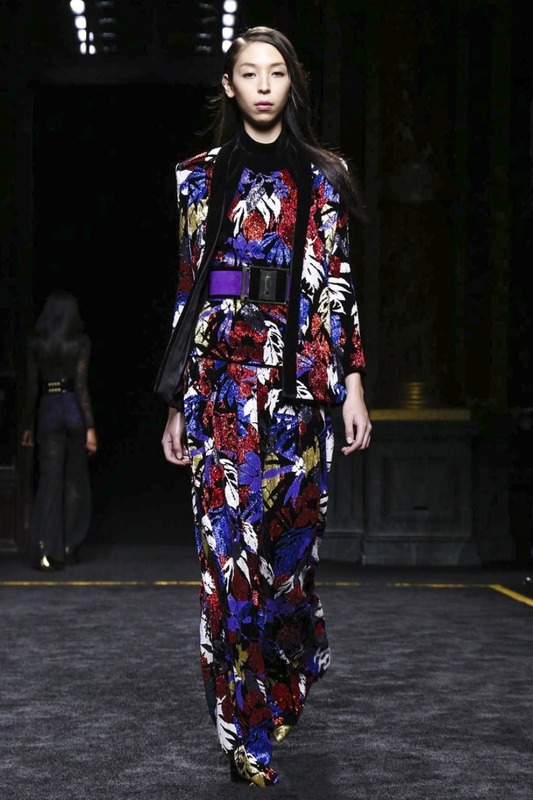 Balmain Fall/Winter 2015-2016 Collection – Runway Looks to fall in love! 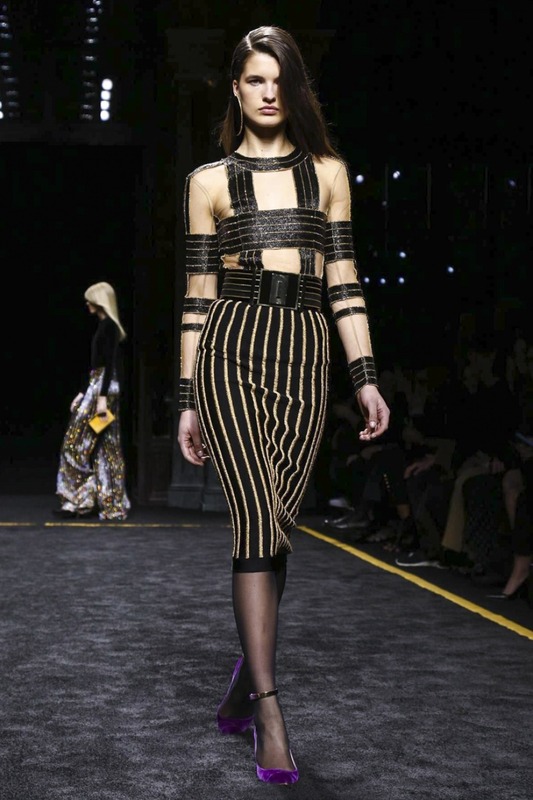 Balmain Fall/Winter 2015-2016 ready-to wear collection designed by Olivier Rousteing. 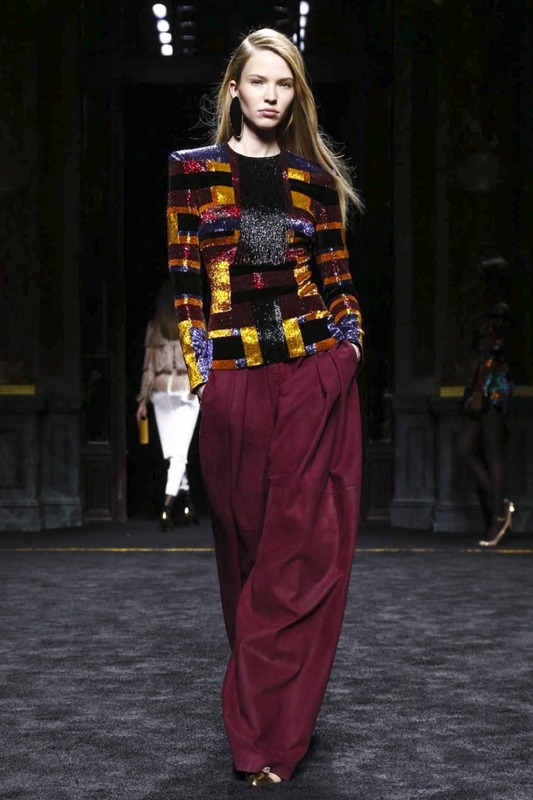 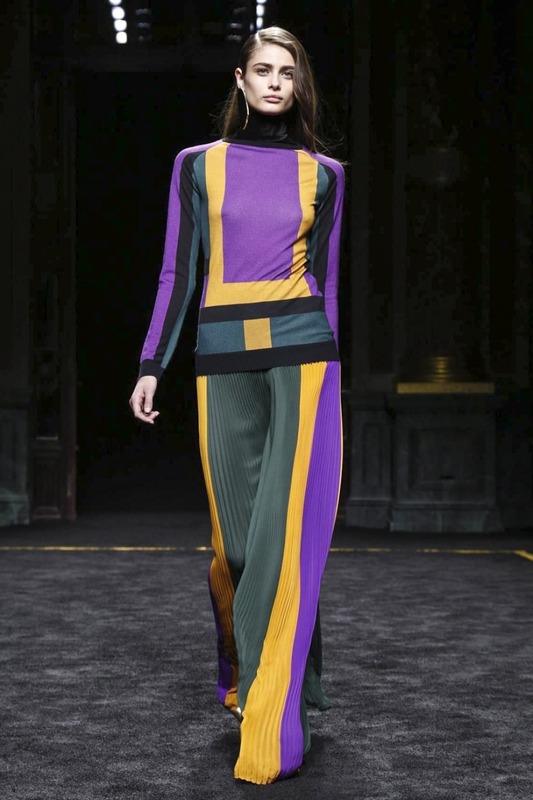 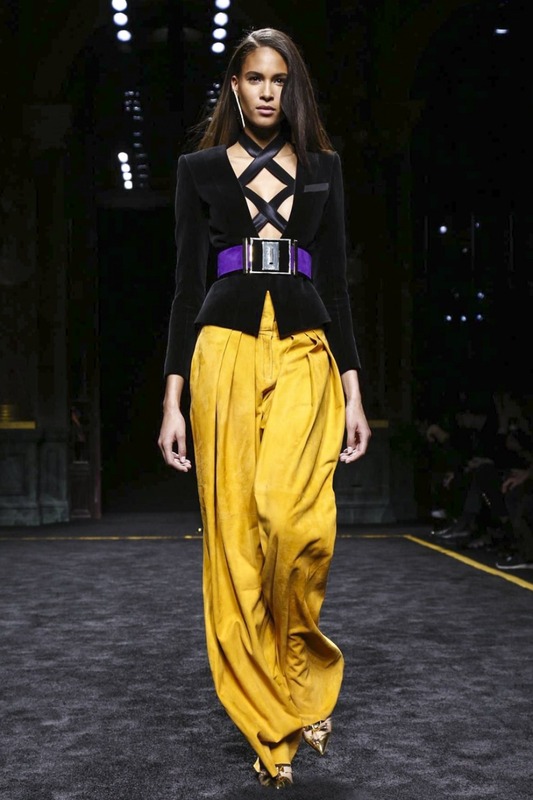 And Olivier Rousteing channeled Seventies and Eighties in Balmain F/W 2015-2016 Collection. 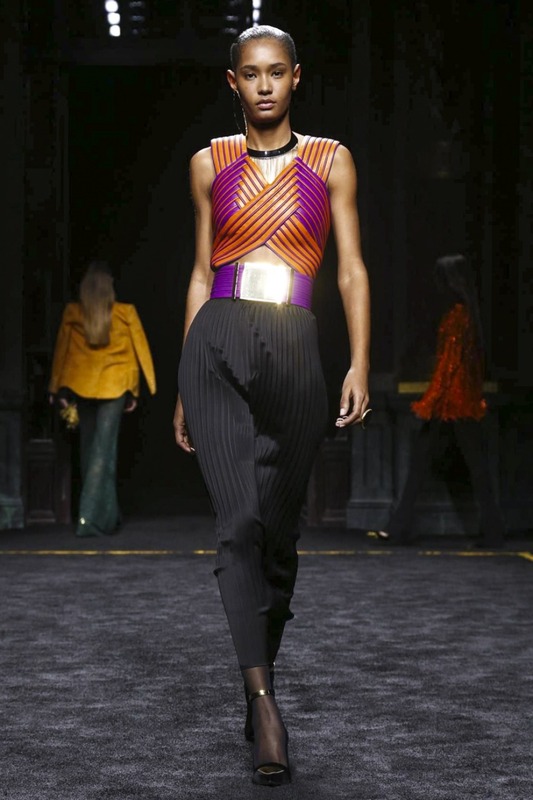 “I wanted to look at the seventies in Paris—but for me, it doesn’t mean the flares—it means the diversity, when so many strong women, white, black, Asian were modeling,” – Olivier Rousteing was saying passionately, backstage before his Show in Paris Fashion Week, on March 5, 2015. 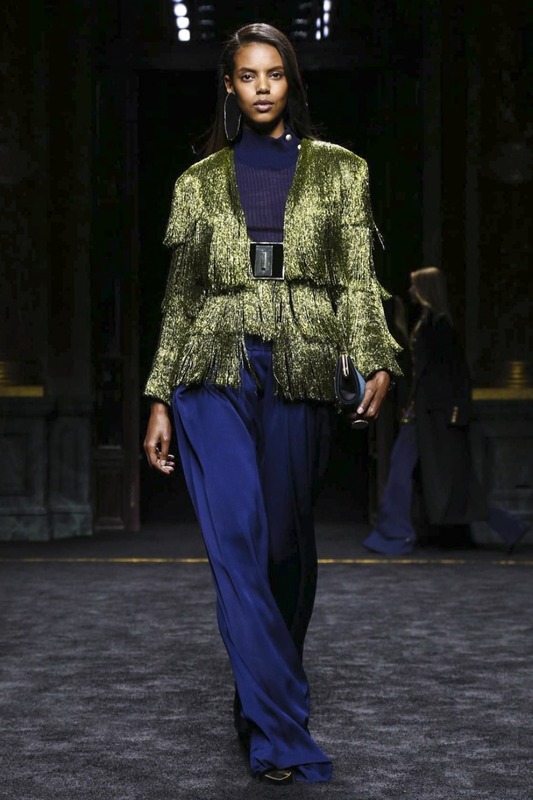 The Runway Looks* are short ruffled cocktail dresses, velvet parkas slung over the shoulder, gold beading and lace body suits, pleated skirts, and high waisted palazzo pants in pumpkin orange, sea green and fuchsia, along with blazers and dresses made with beaded fringe. 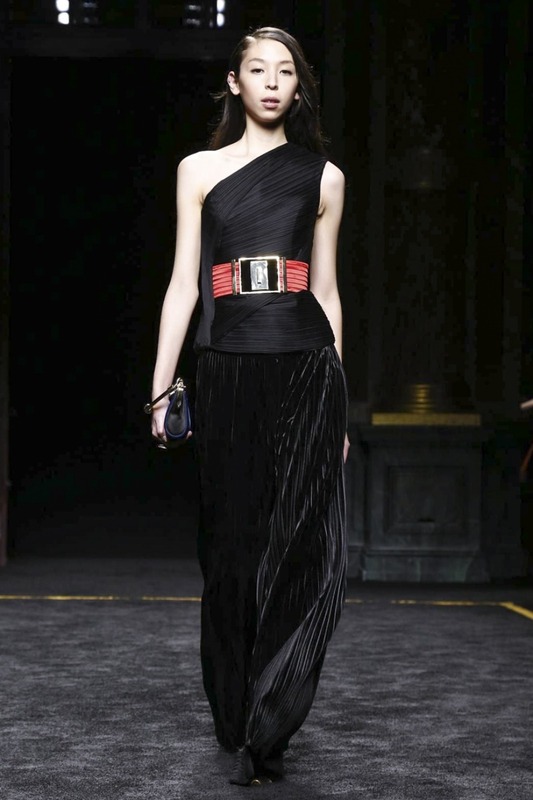 Extra-wide belts complemented most outfits. 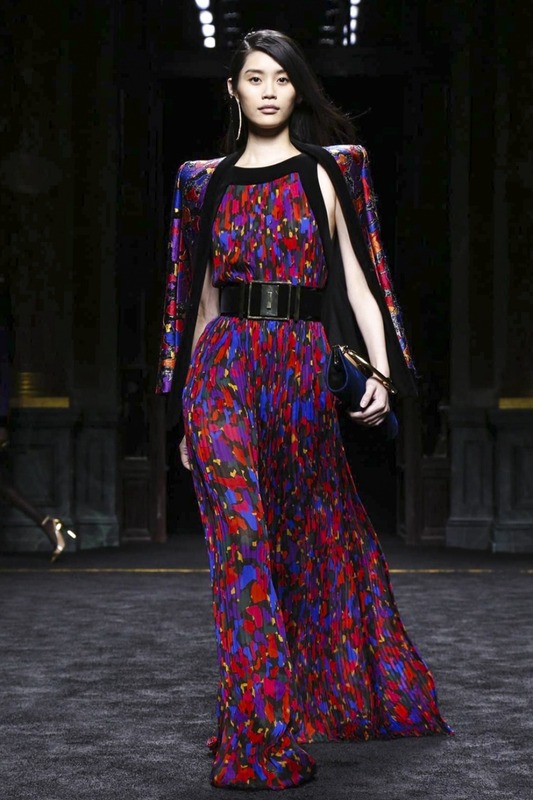 The clothes are sure to attract young women who live or want to live a glamorous Lifestyle. 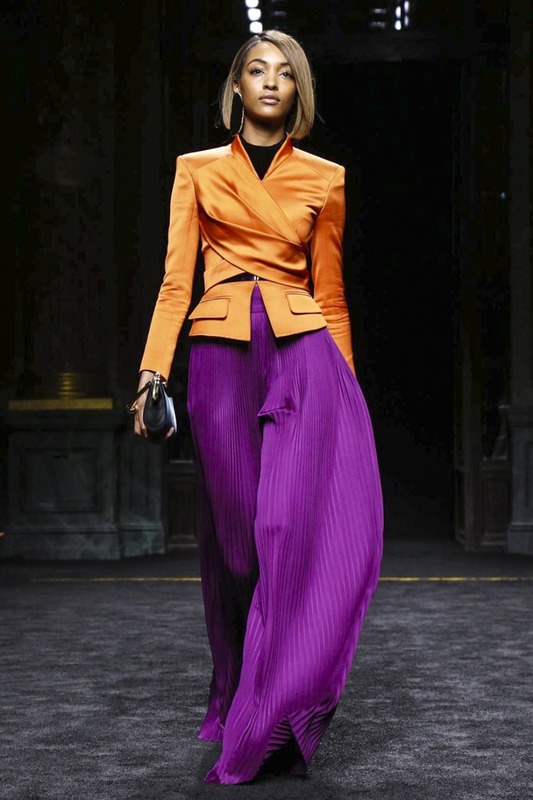 < Emporio Armani Fall/Winter 2015-2016 Collection – Runway *Looks* to fall in love!